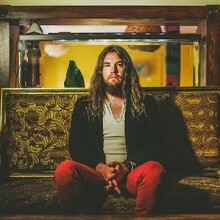 Singer/songwriter Israel Nash will release his new album Rain Plans on August 19th. Nash has released the track “He’s In The Woods Again” which you can stream below. In celebration of the album’s release, he will head out on a lengthy worldwide tour that begins next month and runs through the middle of October. Check out additional details about Rain Plans and the full list of dates below. To celebrate the release of his upcoming album, Rain Plans, Israel Nash will set out on a worldwide tour including an appearance at the Americana Music Festival in Nashville. The new album, due August 19 via Loose/Thirty Tigers, is now available for pre-order: http://bit.ly/1k8Hva2. See full track listing below. Nash recently released two videos featuring live takes of songs off the record—the lead track “Rain Plains” is streaming at American Songwriter (http://bit.ly/1qYKe4s) and “Through the Door” is streaming at Paste (http://bit.ly/1xSOre3). As a native of Missouri, Nash grew up in the heartland of America. Ever restless, Nash relocated to New York City. In 2011 he released Barn Doors and Concrete Floors, which was recorded live in an old barn in upstate New York. Extensive touring in Europe helped Nash gain greater exposure overseas and the Euro Americana Charts chose Barn Doors and Concrete Floors as the top album of 2011.